Two of South Africa’s most famous archaeological sites, Sibudu and Blombos, have revealed that Middle Stone Age groups who lived in these different areas, more than 1 000 kilometres apart, used similar types of stone tools some 71 000 years ago, but that there were differences in the ways that these tools were made. 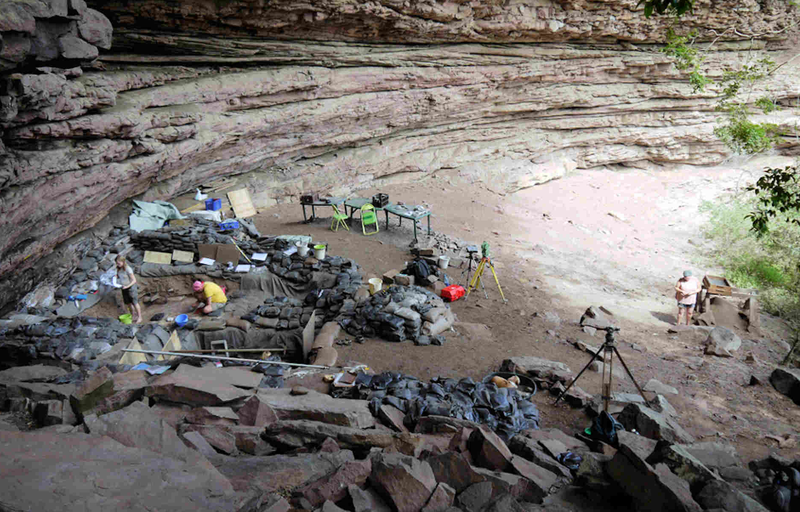 “This was not the case at 65 000 years ago when similarities in stone tool making suggest that similar cultural traditions spread across South Africa,” says Professor Lyn Wadley, archaeologist from the University of the Witwatersrand, Johannesburg. Wadley is part of an international team of researchers from South Africa, France, the US and Italy who published the results of their systematic study of Middle Stone Age (MSA) stone tool technologies in a paper, titled: The Still Bay and Howiesons Poort at Sibudu and Blombos: Understanding Middle Stone Age technologies, in the journal, PLOS ONE, on 10 July 2015. The team also includes Wits University’s Professor Christopher Henshilwood, as well as lead author Sylvain Soriano (France), Paola Villa (US), and others (*). The researchers undertook systematic technological and typological analysis on two types of Middle Stone Age assemblages – Still Bay and Howiesons Poort – from two of the most famous archaeological sites from this time period in South Africa, Blombos Cave in the Western Cape and Sibudu in KwaZulu-Natal. At these sites we find much of the archaeological evidence for the origins of modern human behaviour. In the paper, using their own and published data from other sites, the researchers report on the diversity between stone artifact assemblages and discuss to what extent they can be grouped into homogeneous lithic sets. In agreement with results of previous studies of broadly contemporaneous Howiesons Poort assemblages by other analysts, the researchers’ analysis argues for some uniformity in this cultural entity among sites spread across a vast region from the Western Cape to the Free State and KwaZulu-Natal. Despite the use of different rock types in each site, Howiesons Poort craftsmen follow the same pattern to knap stone. Small blades were produced and used as blanks for “penknife-like” backed and pointed tools, hafted and used both as cutting devices and composite elements of hunting weaponry. This supports the idea of a long-lasting system of complex behavioural traditions that may have been socially transmitted by teaching and verbal instructions. The study also implies that the Howiesons Poort complex was not static, but underwent gradual changes through time. A similar approach was used in the analysis of the Still Bay assemblages from Sibudu and Blombos. 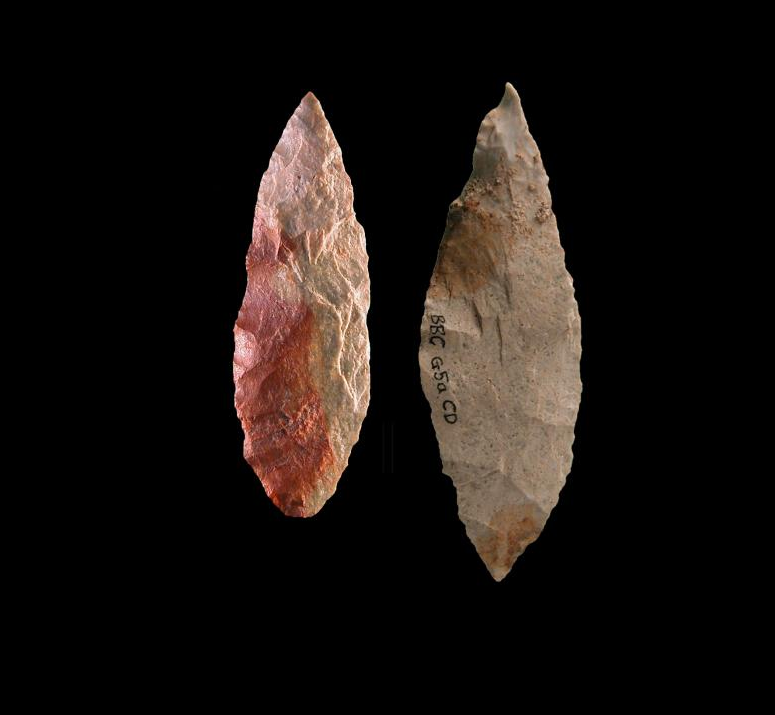 At Sibudu, stone knapping was almost completely oriented towards the production of thin, long, double pointed stone points. These points were designed for a primary use as cutting devices and a long re-sharpening process was applied to these tools to ensure their long-life use. These points were also used as tips of hunting weapons. Although elements of similarity are certainly present, the manufacturing differences observed between the Sibudu and Blombos Still Bay-type tools considerably weaken their grouping into the same cultural entity. In other words, at 71 000 years ago stone tool making at Sibudu and Blombos did not share the same rules and traditions. Still Bay sites are still not common in South Africa and future research might provide new observations needed to see whether the Still Bay really does have directional change different from that in the Howiesons Poort.